27: Chopper 2016 gathering at AFB Zwartkop, 5 Hangar 11h00 to 19h00 . Contact Slade Healy e-mail: slade430@yahoo.com or Matt Richards. The initial indications are that the day will coincide with a SAAF Museum Open Day as well as a SAAF Force Preparation Exercise therefore there should be plenty of activity. 3: All aviation enthusiast are cordially invited (Space limited to 100 Aircraft). 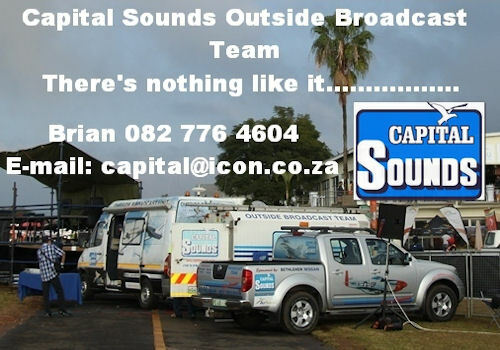 Arrivals will be from 08:00, A complimentary buffet breakfast will be served from 08:30 and there will be a safety talk Presented by Santjie Whites Team on Search and Rescue within South Africa. There will also be braai packs available should you wish to stay for a lunch. RSVP to jonathan@airborneinsurance.co.za or contact us on 011 467 8577. 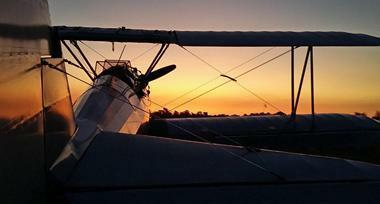 10: The East Rand Flying Club invites aviators to a free fly-in breakfast. Breakfast will be served from 08:00 till 10:30 in the marquee to the North of runway 14/32. Parking will be along the taxiway in front of the hangars to the North of 14/32. FASI frequency is 122.4. Call crossing N12 to North & N17 to the South. Join overhead @ 6800' for light aircraft & 6300' for microlights. Runway 03/21 is tar. Runway 04/22 grass is now a taxiway. NOTE: Runway 14/32 will be closed. All circuits to the NORTH for 32. Takeoff from 14/32 NOT PERMITTED. All circuits to the WEST for 03/21. 22-26: The 2016 Africa Cup . Hotel Numbi, Hazyview. In response to the growing demand for twin-engine corporate helicopter charter, ExecuJet Africa in partnership with Acher Aviation have added a fully IFR (Instrument Flight Rules) certified Bell 230 to its helicopter charter fleet. The Bell 230 combines luxury and comfort with the convenience associated with rotary-wing charter. "With the addition of the Bell 230 and the subsequent expansion of our Johannesburg-based helicopter division, ExecuJet now has the capability of offering the benefit of versatility that comes with helicopter charter", Greg Binnie, ExecuJet Rotary Wing Division. "Since the inception of our helicopter division in 2013 we have found that our Fixed Based Operations, fixed wing charter and rotary wing charter operations have developed exceptionally well, allowing ExecuJet Africa to offer a fully encompassing aviation solution to our clients", Mike Clark, Director: Flight Operations, ExecuJet South Africa. The helicopter fleet based in Johannesburg now includes the Bell230, Bell407, an Agusta A119 and two Eurocopter EC130 B4s with access to a range of additional types. The rotary wing aircraft fleet complies with the latest regulatory requirements, and is consistent with ExecuJet's uncompromising commitment to safety. ExecuJet South Africa has recently been accredited with the highest international certification of safe and professional aircraft operations, IS-BAO and in addition they have also been awarded with the ARGUS Platinum Rating. AHRLAC Mwari delivers a highly flexible mission-configurable payload system, allowing it to be transformed quickly between operational roles. It can stay in the air for more than seven hours, making it the ideal solution for patrolling large land areas, borders and oceans. Diamond Aircraft Industries GmbH confirmed that it will be displaying the DA42 MPP Geostar and the DA62 aircraft types at AAD 2016. This will be the first DA62 to be shown in Africa.Also,Austro Engines,will display their UAV power plant. 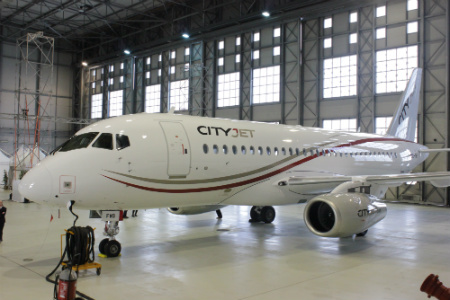 They also to confirm that CitiJet Air Charter (Pty) Ltd, based at Lanseria Intl. 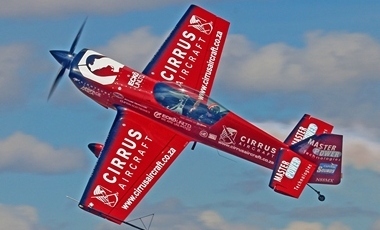 Airport, is the new distributor and service centre for Diamond Aircraft in SA. 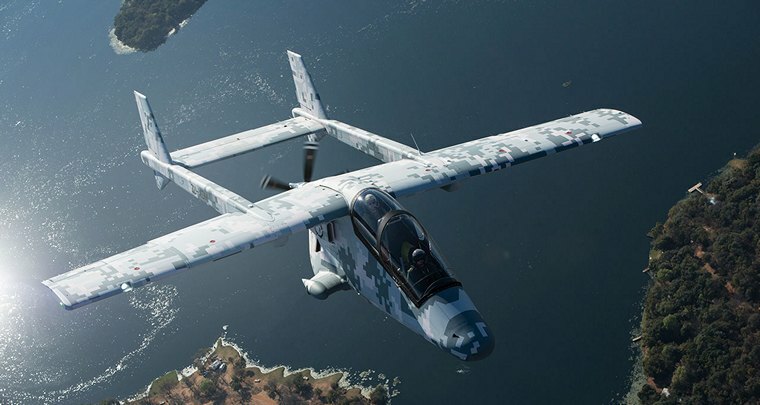 The South African Air Force has confirmed that it will have at least ten different aircraft of all types on display and in the air at AAD 2016. The SAAF's presence at AAD will be complimented by aircraft of the SAAF museum. Airlander 10 has successfully completed its first flight. 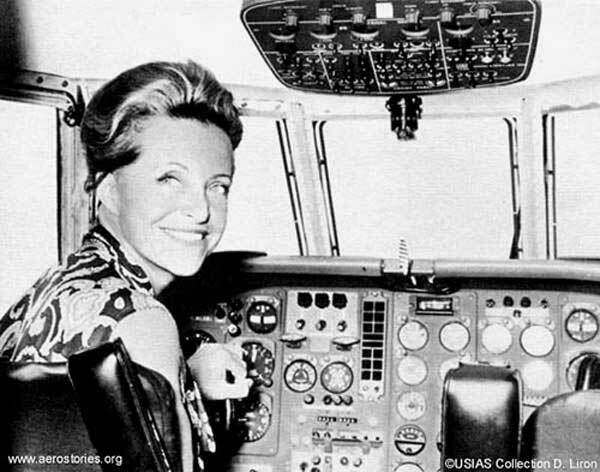 All objectives of the planned flight were accomplished and the aircraft is now safely back at its masting site. Airlander 10 took off from the historic Cardington Airfield in Bedfordshire, England at approximately 19:45 on Wednesday 17th of August, after a short flight it landed at 20:00, before dark. The two Test Pilots were ecstatic about the flight and the flight performance of Airlander during its time in the air. The first flight of Airlander 10 is a historic success and marks the commencement of Airlander 10's Flight Test Programme which is expected to last for a number of months. 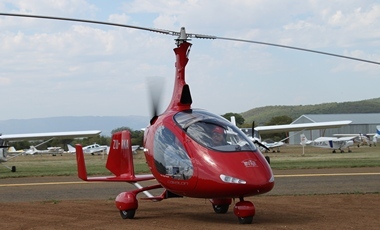 After this the aircraft will begin a series of Trials and Demonstrations with prospective customers. Airlander 10 has been widely hailed as an innovation that will have a hugely positive impact on the world by providing low carbon aviation and brand new capabilities in the sky. Customer interest is strong due to these game-changing capabilities of the Airlander - it offers a stable platform with huge amounts of power and space for search & rescue or communications equipment, and also offers a unique passenger experience. Chief Test Pilot Dave Burns said, "It was privilege to fly the Airlander for the first time and it flew wonderfully. I'm really excited about getting it airborne. 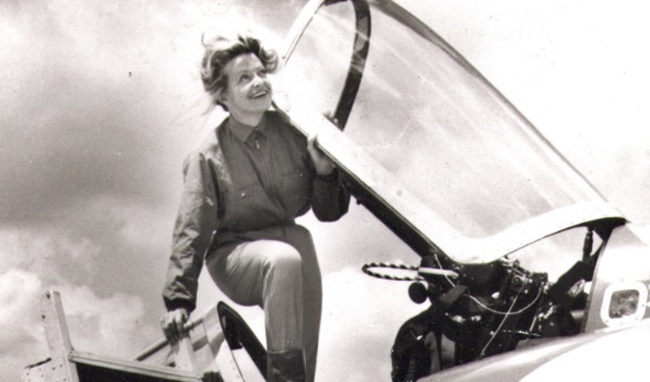 It flew like a dream." A confirmatory Pre-flight test began at 0900 this morning and once Technical Director Mike Durham, Chief Test Pilot David Burns and Ground Operations Chief Alex Travell were all in agreement, clearance was granted for First Flight to commence. These three have been working together for almost thirty years, which illustrates the depth of experience and know-how within Hybrid Air Vehicles. The four massive but quiet engines were started approximately 30 minutes before take-off. Once airborne, Chief Test Pilot David Burns, accompanied by Test Pilot Simon Davies, flew the majestic Airlander within a 6 mile (5 nautical mile) area around Cardington Airfield, just to the south of Bedford, in England. Airlander climbed to a height of 500ft and reached a maximum speed of 35 knots. Due to a later than anticipated take-off time the Airlander was limited to a 19 minute flight so we could land safely before darkness fell. All test objectives were met during the flight. These included the safe launch, flight and landing of the Airlander 10 and a series of gentle turns at increasing speed. Some technical tests on its hull pressure were also undertaken. Boeing [NYSE:BA] and ANA (All Nippon Airways) celebrated the delivery of the airline's 50th 787 Dreamliner during a ceremony at Boeing's Everett Delivery Centre. The milestone marks yet another record for ANA as it becomes the world's first airline to operate 50 787 Dreamliners. "The 787 Dreamliner has played a significant role in opening up new routes into new markets, while also forming the backbone of our long-haul fleet," said Osamu Shinobe, president and CEO, ANA. "As the launch customer of the 787 Dreamliner family, we are proud to welcome the 50th 787 Dreamliner into our fleet, where it will continue to serve our passengers with the most innovative and memorable flying experience." As part of efforts to expand its global network, ANA also announced plans to launch new routes from Tokyo, Narita to Phnom Penh, Cambodia in September this year and Mexico City, Mexico in February next year using 787 Dreamliners. ANA became the launch customer of the 787 when it purchased 50 in 2004, and was the first to bring the airplane into service in 2011. The airline operates more than 11 percent of all 787s around the world today and has flown an estimated 125,000 flights with the Dreamliner. "As the launch customer of the 787 and our largest 787 customer, we are honored to celebrate this important milestone with ANA," said Boeing Commercial Airplanes President and CEO Ray Conner. "ANA is a valued Boeing customer and has been a vital partner on this program. Today's event demonstrates the strength of our enduring relationship and we look forward to introducing the 787-10 to ANA in the coming years to complete the entire family of 787 Dreamliners in their fleet." Already the world's largest Dreamliner operator, ANA has an additional 33 787s on order, including the longest and newest member of the family, the 787-10. The airline also has 20 777-9 airplanes on order. Ilya Tarasenko, President of JSC Sukhoi Civil Aircraft: "In ongoing work, we are developing the product and enhancing its operation capabilities. We are receptive for the feedback from our customers, and not only we deliver the aircraft within the shortest term in the market, but we also perform additional activities regarding their customization". A UK Eurofighter Typhoon, featuring the latest weapons fit, performed a spectacular display for crowds at the Royal International Air Tattoo (RIAT) and Farnborough International Air Show, with BAE Systems' Typhoon Test Pilot Nat Makepeace at the controls. The display demonstrated the Eurofighter Typhoon carrying four Meteor Beyond Visual Range Air to Air missiles, two ASRAAM infra-red missiles, six Brimstone 2 low collateral, precision strike missiles, and two Paveway IV GPS/laser guided bombs. Nat's display, performed throughout the two air shows, won the Steedman Display Sword at the RIAT event. The sword is presented by the Royal International Air Tattoo in memory of the late Air Chief Marshal Sir Alasdair Steedman, chairman of the International Air Tattoo (1981-1988) for the best flying demonstration by a UK participant. The display was intended to demonstrate the significant progress being made towards the realisation of Phase 2 and 3 Enhancements for Typhoon, which will deliver improved long-range capabilities to the aircraft. Flight test programmes for the P2E and P3E packages are ongoing. Phase 2 Enhancements will bring new, long range capabilities to Typhoon. This includes a deep attack capability enabling stand-off targeting of high value assets through the integration of the Storm Shadow Air-to-Surface cruise missile and a Beyond Visual Range capability through integration of the Meteor Beyond Visual Range Air-to-Air missile, providing enhanced capability against a variety of targets such as agile fast jets, Unmanned Air Vehicles and cruise missiles. 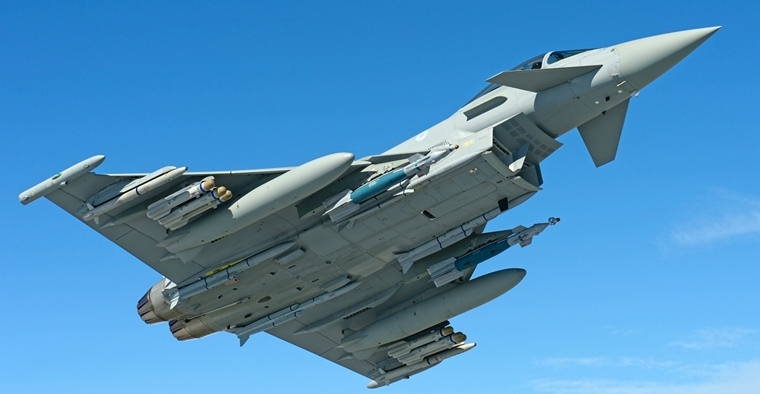 Phase 3 Enhancements will introduce a low collateral, high precision strike air-to-surface capability to Typhoon through integration of the Brimstone Air-to-Surface weapon, giving a precision effect with low collateral damage against fast-moving armoured targets. Nat, who has amassed over 5,400 hours of military fast jet time on over 50 different types of aircraft, was also wearing the Striker II helmet during the display - a fully digital colour Helmet Mounted Display which builds on decades of combat-proven experience by BAE Systems to provide the fast jet pilot with exceptional night and day vision and target tracking technology displayed in front of their eyes. Photo © Textron Aviation Inc.
Textron Aviation Inc., a Textron Inc. (NYSE:TXT) company launched its Peace of Mind program, which is designed to create a simpler transition to new Cessna Caravan and Beechcraft King Air turboprops. Peace of Mind provides up to two years or 400 hours of Textron Aviation's industry leading ProParts and ProTech programs, as well as Pratt & Whitney's ESPecially engine maintenance program, all free of charge for new King Air and Caravan turboprop purchases from July 25, 2016, through September 30, 2016, with delivery by the end of the year. "We are always looking at how we can make stepping into turbine ownership easier, and the Peace of Mind incentive eliminates any uncertainty around maintenance costs by providing comprehensive maintenance protection through industry leading programs," said Kriya Shortt, senior vice president, Sales and Marketing. "And, customers who choose to combine Peace of Mind with our ProOwnership program can also receive assistance with other ownership intricacies, including mentoring services, pilot services, insurance, taxes and more. No other manufacturer can offer such a comprehensive solutions package for customers looking to make the transition to a new aircraft." Textron Aviation's ProParts and ProTech programs are part of the company's ProAdvantage umbrella of programs, which are the leading support programs in the industry and have been designed to provide customers lower, predictable ownership costs, while enhancing aircraft values through comprehensive maintenance. ProParts and ProTech create a powerful support solution for our King Air and Caravan customers, further enhancing their ownership and operating experience. The ESPecially program is Pratt & Whitney's world-class maintenance program and provides engine coverage for up to two years or the first 400 hours free of charge and at a reduced rate until first overhaul. India: Indian aviation experts appear no closer to solving the mystery of a military aircraft that disappeared over the Bay of Bengal last month. The Antonov AN-32 military transport with 23 service personnel and six crew members on board vanished shortly after take-off from the southern city of Chennai on 22 July. It then just disappeared, no SOS, no transmission at any frequency. Military and coast guard planes have covered 360 nautical miles in search of debris, but no wreckage has so far been located. Dozens of ships and submarines are also involved in a deep sea search, scouring 430 square kilometres of ocean. Israel, Ben Gurion: A320 passenger jet with 118 passengers aboard was met by dozens of first responders, medics and fire and rescue personnel after the pilot had reported that one of the aircraft's engines had quit. The flight returned to Ben Gurion and landed safely despite the dicey conditions. Australia, Brisbane: A mid-air collision was averted after a Spice Jet aircraft came in close proximity of an Emirates plane on August 11. According to officials, the SpiceJet flight (SG 511) was cleared to fly at 34,000 feet. Reportedly, the plane climbed above the permitted level and was then asked to maintain 35,000 feet but it ended overshooting by a 1,000 feet, reaching a level that the Emirates flight (EK 433) was maintaining. This forced the Emirates flight to climb further to avoid collision. A mid-air collision was averted after a Spice Jet aircraft came in close proximity of an Emirates plane on August 11. According to officials, the SpiceJet flight (SG 511) was cleared to fly at 34,000 feet. Reportedly, the plane climbed above the permitted level and was then asked to maintain 35,000 feet but it ended overshooting by a 1,000 feet, reaching a level that the Emirates flight (EK 433) was maintaining. This forced the Emirates flight to climb further to avoid collision. Earlier this month, a mid-air collision between two IndiGo planes was averted after the pi lot of one of the flights steered away his aircraft to a safe distance when they came close to each other. 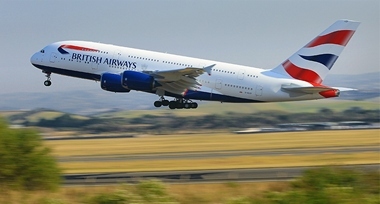 The incident resulted in four passengers and two crew members complaining of giddiness and required medical attention. The two incidents in August add to 25 such incidents reported in 2015 and 31in 2014. Probe reports of most of these incidents are yet to be tabled. In both the cases, the Traffic Collision Avoidance System (TCAS) kicked in.